A Passionate Hope: Hannah's Story (Daughters of the Promised Land #4) by Jill Eileen Smith: A Book Review! Synopsis: Hannah and her husband, Elkanah, share a deep and abiding love, for each other, for their God, and for his tabernacle at Shiloh. Greatly disturbed by the corruption of the priests, they long for restoration and pray for a deliverer. But nothing changes as the years pass. Years that also reveal Hannah to be barren. 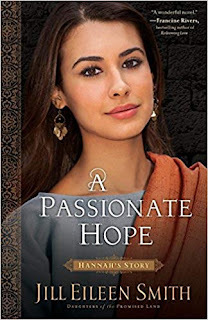 My Review: A Passionate Hope tells the story of Hannah, who is the mother of Samuel. Hannah has married the love of her life, Elkanah. She believes that she will have a happy life for him and bear him a son. However, Hannah’s dreams do not come true. After years of being barren, Elkanah is pressured by his family to take another wife. Hannah is forced to watch in humiliation as the other wife bares her husband’s children while she has none. Hannah questions why God will not grant her deepest desire? Hannah embarks on a deep journey of her faith and devotion to God. I have always been intrigued by Hannah’s story. She is one of the strongest believers in the Bible. She never once lost her faith in God. In A Passionate Hope, Mrs. Smith focuses on Hannah’s long years of suffering. The novel begins when Hannah is young and optimistic. 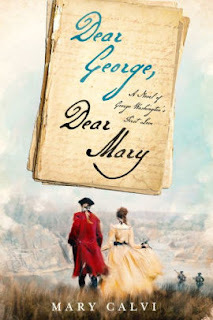 She marries the man she loves and believes that she will soon give him children. Hannah is a very sympathetic figure. I felt her despair when she is forced to watch her husband marry another and now the other wife gives her husband what she cannot. Penniah was not a kind woman to her. She would often laugh and torment Hannah. Therefore, I empathized with Hannah’s sorrow. However, Hannah’s trials made her stronger. While she did question God, Hannah never wavered in her faith. 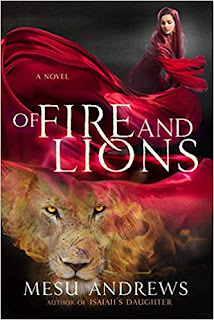 She never gave up hope that she would bear Elkanah a son.